The 18th century economist Richard Cantillon coined the word entrepreneur, which means literally “bearer of risks.” Wharton professor Adam Grant wouldn’t question that entrepreneurs accept more risk than most. 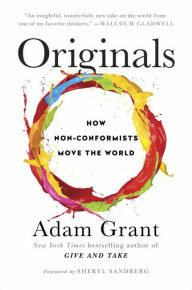 But in his new book, Originals, he challenges the conventional wisdom that they thrive on it. “As much as they may seem to crave risk, [entrepreneurs] really prefer to avoid it,” writes Grant, whose examples include current entrepreneurial icons like Warby Parker. He goes on to question our veneration of entrepreneurs, inventors, artists and other innovators as some exotic, awe-inspiring species. Grant believes that most people recognize opportunities for improvement and can concoct ideas that are both novel and useful. The challenge is to break out of conventional thinking: to reject what “they say” about what will work and what won’t. s, from creating great art to overthrowing repressive regimes. His message is optimistic: as long as people think differently and stand up for those differences, they can make the world a better place. Grant acknowledges that marching against the crowd can be hard and lonely. There’s an interesting debate in academic and management circles about whether individuals actually perform better than teams, which for decades have been organizations’ building blocks of choice. The answer, of course, is that it depends upon the team. Markova and McArthur are, respectively, founder and CEO of Professional Thinking Partners, a network of consultants specializing in collaboration and leadership. In Collaborative Intelligence, they explain how thinking can be practiced almost like a team sport, in which performance depends on how well participants understand one another–their approaches to framing questions and approaching challenges, for example. “We take for granted that intelligence occurs within our own minds,” the authors write. 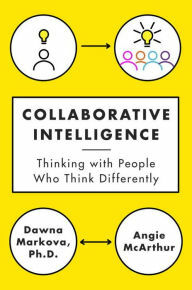 “What keeps us from collaborating effectively is that most of us don’t know how to think with people who think differently than we do.” As a result people brought together around a specific objective often devolve into arguments or seek comity at the expense of a thoughtful weighing of divergent opinions. Collaborative Intelligence explains how to leverage all the intellectual capital in a room, raise the team’s collective intelligence and, as a result, the quality of the outcome. The authors pay particular attention to leaders, who must become more aware of how they think, speak, and act themselves in order to forge those around them into productive, dynamic units. Diversity is increasingly embraced within organizations as a social good. The economic benefits appear when teams use their differences as tools of creation rather than division. 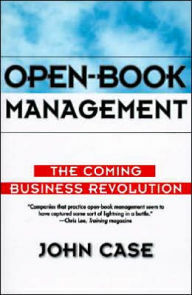 Open-book management–revealing a company’s financials and other critical data to employees and educating them on what those numbers mean–still seems pretty revolutionary to many companies. That’s surprising. It sounds like common sense that if employees understand how their employer operates and how their own jobs contribute to the success of that operation, then they can work smarter and better align with the company’s goals. If you’re still dubious, Case explains persuasively why, as well as how, it all works.